At this point, it’s no news that Kim Kardashian is really a serious businesswoman. From scoring uncountable digital endorsement deals and owning a beauty empire, plus several other business ventures, Kim continues to secure her status as one of the successful women alive. She’s made millions of dollars already for always churning out sold out products in her KKW Beauty line and the 37-year-old is here again to make you smell good just in time for Valentine’s Day. According to the reality star who made the announcement via the brand’s Instagram page, the new fragrance will drop on the first day of February on KKWFragrance.com. And while the launch date is just a week away, the scents are unclear and so as the price point. 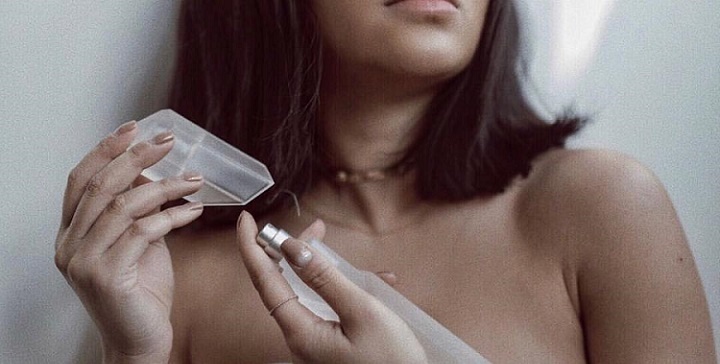 But since her last collection: Crystal Gardenia, Crystal Gardenia Oud, and Crystal Gardenia Citrus, which were launched last year and sold out in 24 hours at a price range of $60, it would be safe to expect this new collection in that range. Kim reportedly made a whopping amount of $10 million dollars from her last fragrance 24-hour sales and up till today, lofty reviews are still pouring in on the brand’s IG page, so we can’t wait for another testimony.